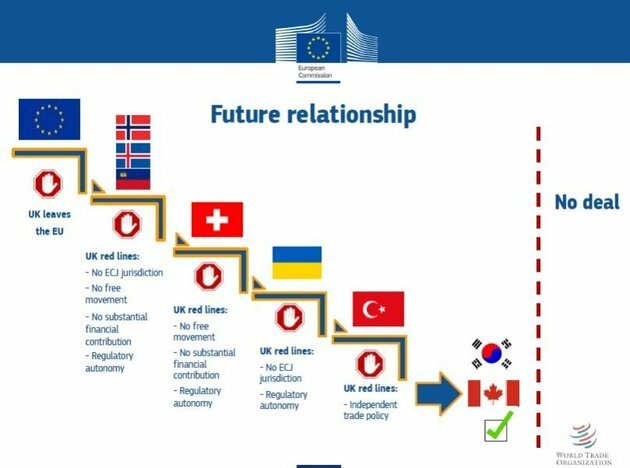 Last month, was it really under 30 days ago, Michael Barnier produced a slide, showing the impact of the British Government’s self-imposed Red lines on the likely end-state of the UK’s relationship with the EU. It shows that the only option is a bespoke trade deal on the lines of the Canadian/EU one, which famously took 7 years to negotiate. It also shows that the only other option is a No Deal Brexit.